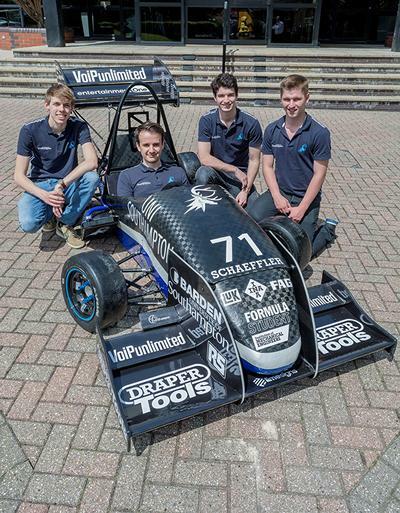 Engineering students from the University of Southampton will be taking part in Formula Student 2016 this weekend (15 to 17 July) at Silverstone race track. 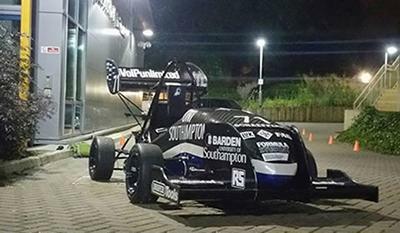 The Southampton University Formula Student Team (SUFST) brings together over 100 students from a wide range of courses. As a team, they design and build a single-seat racing car in order to compete in static and dynamic events against over 130 teams from 30 countries around the world. Having restarted in 2012, after eight years out of Formula Student, SUFST are entering their fourth year in the competition. The team’s aim is to finish in the top 30 by gaining over 300 points. They first need to pass intense scrutineering by the Formula Student judges to ensure the car is safe and meets the extensive regulations. Then the static events take place, where the team pitch their car to the judges in a business investment scenario and explain the design of each of the components in detail. To complete the static events, the team then break down the cost of the car to the judges and then make their final preparations to the car before the dynamic events. (l-r) Jack Routly, Joe Coakley, Matthew Mustard and Nathan Vosper. The dynamic events involve a skid pad, an acceleration test, which is followed by the sprint event that acts as qualifying for the 22km endurance race – the culmination of the whole event at Silverstone. Nine members of SUSFT have taken advantage of the skills learnt during the Formula Student programme and will be joining a number of Formula One teams in a variety of positions. The University has an exceptional track-record of providing graduates for Formula One teams in this very competitive field. Following Silverstone, SUFST will be competing in their first European competition at Formula Student Czech Republic.